Diwali is a widely celebrated Hindu festival of light. 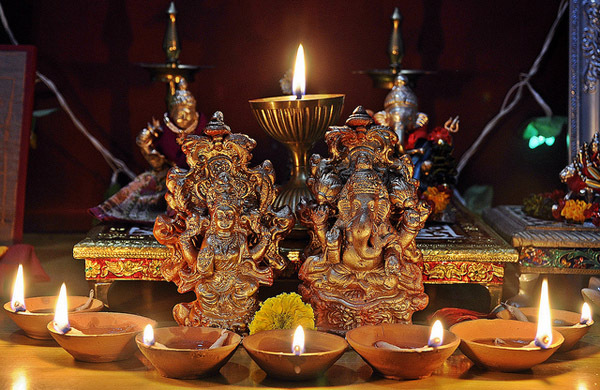 It is colloquially known as the “festival of lights”, for the common practice of lighting small oil lamps (called diyas) and place them around the home, in courtyards, verandahs, and gardens, as well as on roof-tops and outer walls, illuminating each and every corner of the household. The celebration is accompanied by the exchange of sweets and the explosion of fireworks amidst merry making. Diwali is not only celebrated in India but also in countries like Nepal, Sri Lanka, Myanmar, Mauritius, Guyana, Trinidad & Tobago, Suriname, Malaysia, Singapore and Fiji with the same amount of enthusiasm and gander. Diwali starts on Dhanteras i.e. on the thirteenth lunar day of Krishna paksha of the Hindu calendar month Ashwin and ends on Bhaubeej, celebrated on the second lunar day of Shukla paksha of the Hindu calendar month Kartik. of the Hindu calendar month Ashwin and ends on Bhaubeej, celebrated on the second lunar day of Shukla paksha of the Hindu calendar month Kartik. In the Gregorian calendar, Diwali is celebrated between mid-October and mid-November. This year Diwali will fall on 3rd November, Sunday. Each day of Diwali has its own tale, legend and myth to talk about. Day 1: The first day of the festival is known as Dhanteras. It marks the start of the financial year in India. Day 2: The second day of the festival Naraka Chaturdasi marks the vanquishing of the demon Naraka by Lord Krishna and his wife Satyabhama. Day 3: The third day of Deepawali, Amavasya, marks the worship of Lakshmi, the goddess of wealth fulfilling the wishes of her devotees. Amavasya also tells the story of Lord Vishnu who in his dwarf incarnation vanquished the tyrant Bali, and banished him to hell. Day 4: On the fourth day of Deepawali, Kartika Shudda Padyami steps out of hell and rules the earth according to the boon given by Lord Vishnu. Day 5: The fifth day is the Yama Dvitiya (also called Bhai Dooj) on which day sisters invite their brothers to their homes. Diwali actually marks the end of the harvest season in agricultural India. 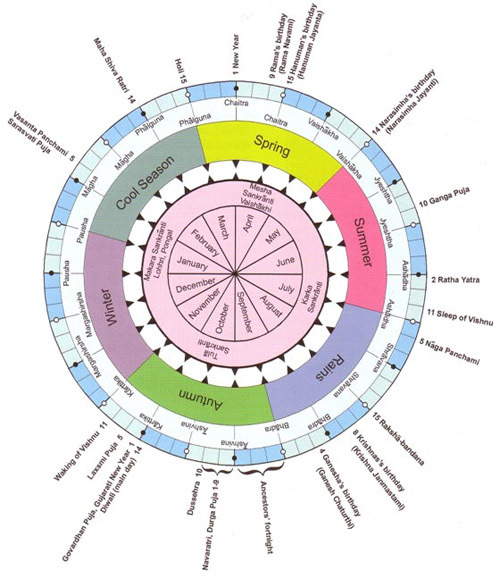 Traditionally this marked the closing of accounts for businesses dependent on the agrarian cycle. It is the last major celebration before winter. Goddess Lakshmi in Hinduism symbolizes wealth and prosperity and thus is offered prayer for a good year ahead. Lakshmi is the Goddess of wealth and prosperity amongst the Hindus. She is also called “Shri”, the female of the Supreme Being and is worshipped for promotion, success and personal virtues. 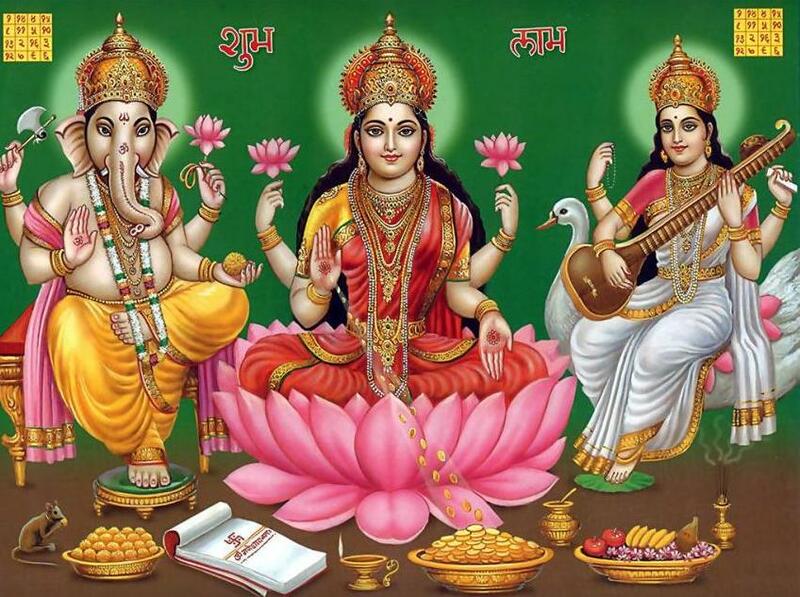 Lakshmi Puja that falls during diwali is performed for prosperity, material abundance, and spiritual prosperity. She is known for removing troubles and other omen while starting troubles something new. 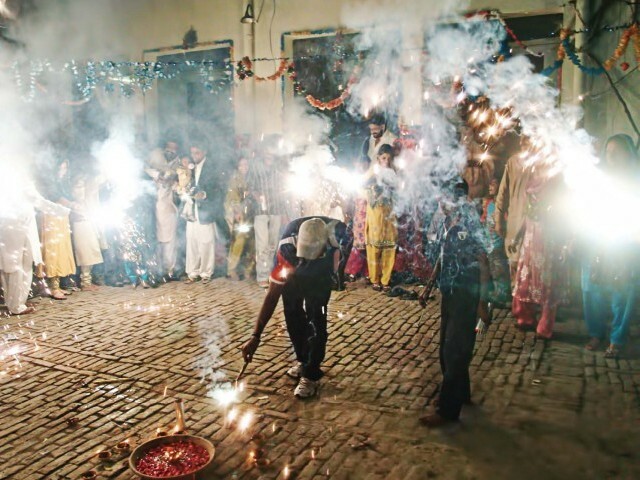 The origin of Diwali or Deepawali can be traced back to ancient India. It has different meaning in different parts of the country. Some believe it to be the celebration of the marriage of Lakshmi with Lord Vishnu while some dedicate it to the worship of Mother Kali, the dark goddess of strength. Lord Ganesha, the elephant-headed God, the symbol of auspiciousness and wisdom is also worshiped on this day. In Jainism, Deepawali is the day when Lord Mahavira attained nirvana. 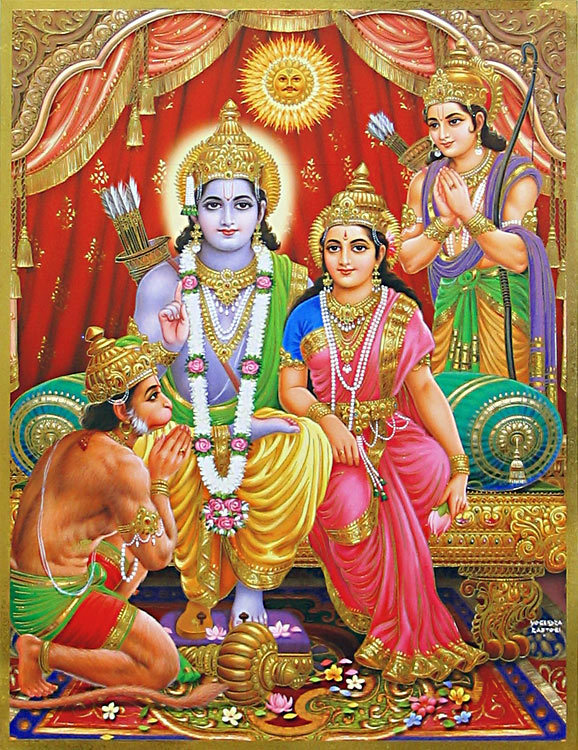 Most popularly, Diwali commemorates the return of Lord Rama along with Sita and Lakshman from their fourteen year long exile and vanquishing the demon-king Ravana. The word ‘Diwali’ is derived from the Sanskrit word ‘Deepavali’ where ‘Deepa’ meaning light and ‘Avali’ meaning a row. It means a row of lights lit and the term speaks on its own. Why Diwali is called the ‘Festival of Lights’? Diwali is known as the Festival of Lights because of the manner in which it is observed. The festival is traditionally celebrated with bursting crackers, lighting rows of candles and diyas (earthen lamps) around individual homes, holding dazzling fireworks display and igniting colorful sparklers all round the country. The Festival of Light is celebrated with prom and gander in and around the country. People decorate their houses with oil lamps, candles and lanterns. They also paint colorful patterns at the doorstep, dress in new outfits and visit friends and families with gifts. In order to heighten the celebration, crackers are burst and sparklers are lighted. In Bengal, makeshift structures called pandals, made of articles as bamboos and cloth, are erected to house Goddess Kali for the two days of celebration. 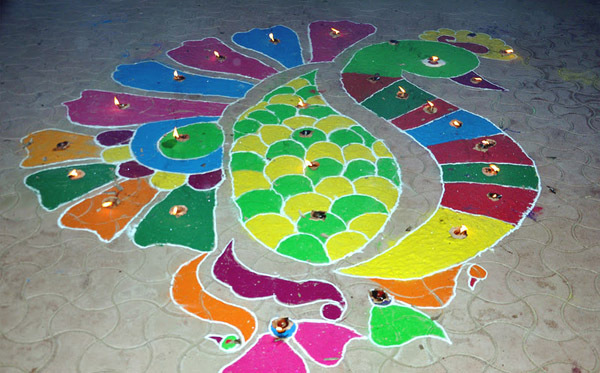 Rangoli is displayed as a welcoming sign for the Goddess Laxmi in Indian Hindu families. A Painted Prayer of India, rangoli, is an exquisite design full of vibrant and appealing colors which is typically constructed at the entrance of a house. It is designs made materials such as colored chalk, rice powder, and crushed limestone. No matter the design and pattern used in Rangoli, Diwali would be incomplete without the traditional Rangoli. 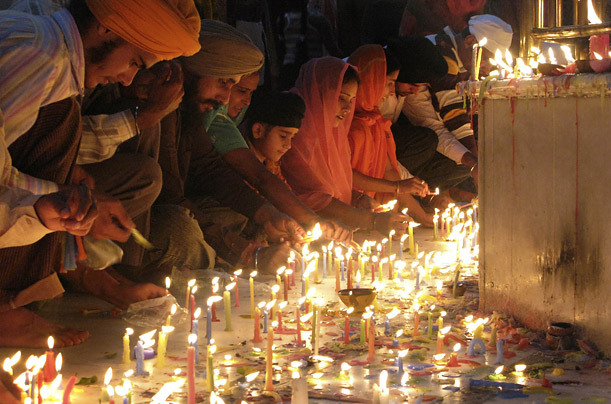 Sikhs celebrate Diwali after celebration of Bandi Chhorh Divas. Diwali is celebrated by Sikhs to mark the return of Guru Hargobind to Amritsar after his imprisonment at Gwalior where he also won the freedom of 52 innocent Princes imprisoned for political reasons. The lamps are kept on during the night, houses cleaned to welcome Goddess Lakshmi as well. Firecrackers are burst to drive away evil spirits.